f your door is jammed shut or the lock wont work for one reason or another, this doesn't mean you need a new door despite what the double glazing installers might tell you. Our experience has shown that all doors no matter the make - can be repaired. Whether it be a new or upgraded mechanism or lock. We can open your door without damaging it and repair or replace the relevant parts to get your door working as good as, if not better, than new. Affordable Locksmith UPVC door repairs Paisley do not fit new doors or windows we just repair them. If the door or window parts are obsolete we can source updated versions or alternatives that will do the same job or offer better security at a fraction of the price of the cost of a new door. We can provide new quality door furniture like handles and letter plates. Upgraded the standard locking cylinders to snap safe, kite marked cylinders or high security insurance approved locks. If we carry out any UPVC door repairs we'll show you how to maintain the door, for example door alignment. This is important as it will prolong the life span of the mechanism and provide you with many years of trouble free locking. Other companies charge for this service. We carry out repairs and upgrades to composite, UPVC and aluminium doors. Please visit our home page A.L.S. Locksmiths to view our independently collated reviews for your peace of mind. Affordable Locksmiths in Paisley specialize in the lock repairs and maintenance of upvc doors and windows. Most doors and windows can be repaired and unlike some companies out there that want to install you a new door or window we provide a cost effective solution in the form of new parts and a service built on reputation and quality of service. If you have a PVC door and it is old and the locking mechanism is obsolette that doesn't phaze us. We will measure up your door and find a mechanism that will carry out the double glazing door repairs and even provide you with the knowledge to maintain it. At Affordable Locksmiths in Paisley we strive to achieve a high level of service for all our locksmith services in Paisley and the surrounding areas. Affordable Locksmith Paisley carry out lock repairs to all types of doors and windows including PVC, wooden and aluminium. Our advice is that if you spend less than £800 on a new door plus fitting you will eventually pay for it. The old saying "buy cheap buy twice" comes without saying as the cheap doors tend to be unsecure [can be prized open even when locked] very light weight and poorly fitted. The average life span for a cheap door is 3 to 5 years. If you DO decide to take the plunge then buy composite NOT PVC. Beware some companies try and pass off a pvc varient of a composite door but its just a PVC door in the end. Paisley locksmith in Renfrewshire. Carrying out Lock Changes, Lock installations. 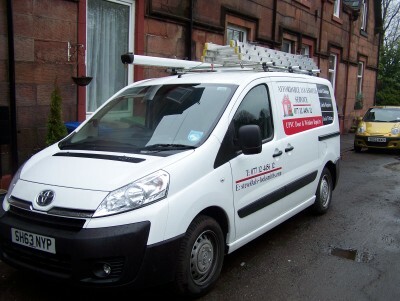 UPVC lock repairs and Lock fitting in and around the Paisley area. As an independent locksmith service and not a franchise or national company A.L.S. Locksmiths pride ourselves on a fast, efficient and professional approach to all work carried out. Affordable Locksmith Services [A.L.S.] don't just carry out lock outs. In fact the majority of our business comes from other avenues such as lock fitting, repairs and repairs to UPVC door and windows. We operate an emergency service but we are not 24 hrs.